Your Apple MacBook is like your baby and the battery being it’s food! Although Apple already has put in some impressive power saving features, you can still push that savings to one level higher by working smartly with your MacBook. Here are 6 really good tips that will help you squeeze that extra juice off your battery and make your MacBook run longer. Whenever you plug-in the power adapter to charge the battery of your MacBook, always try not to remove the power cable before the MacBook gets charged to it’s full capacity. After which you can unplug the power adapter and get back to work on your MacBook. Once you are running it on Battery Power you should take care that you do not charge it again before the battery level reaches critical, say 20% (about which you will be notified accordingly) as repeated extreme discharging is harmful for the battery. The best thing to do for laptop batteries is when you’re not using them, let them be somewhat discharged (40-70%), plug the computer into the wall power, and disconnect/remove the battery. 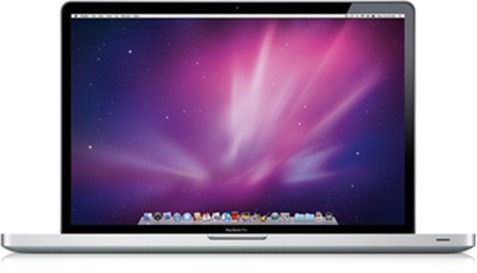 Your MacBook’s display and the backlit keyboard consume a considerable amount of power while operating on Battery. So it is always recommended to reduce the display brightness to a level which your eyes are comfortable with. Also you should generally turn off the Keyboard’s backlight and use it only when necessary, say when you are in a dark room. Your MacBook’s DVD drive plays both CDs and DVDs. The motor that spins the discs you put in the drive also consume a good amount of power. So you can consider copying your content (like movies and videos) onto your MacBook’s Hard disk or an USB external hard disk first and then watch the content from the hard disk. There is a drawback with Hard Disks too. Hard Disks spin too which again consume battery power. If you have solid state Hard Drives then it is well and good. You are a MacBook user and there is a 95% chance that you own an Apple iPod too! And the iPod may be always connected to your MacBook via USB ports when you are not on the move. USB ports again take up power to run the devices connected to them. So it is again recommended not to use many USB devices (eg. iPod, External Hard Drive, Mice .. both wired and wireless) when you are operating your MacBook on battery Power. Wi-Fi radio when ON keeps on searching for nearby wireless networks. So in case you are not connected to any Wireless networks nearby you should consider switching off the Wi-Fi radio. And again, if you do not use Bluetooth quite often, that can be turned down too. Standby! Hibernate! Close the Lid! If you have to leave your desk for say 15 minutes with all your work left open, then you can consider closing the lid of your MacBook to either make the system go to Stand By or hibernate it! Saves lot of power, Trust me. Well, these all the six tips which I generally use to get that extra juice from my MacBook’s battery and trust me these really work! If you have more tips to save a MacBook’s battery power that you would like to share with us, do consider leaving a comment below. You can also find some more exhaustive tips at TAB.